Our mouth watering chocolate drenched pretzel knots will leave a lasting impression. Each box is packed with 10 Pretzel Knots. 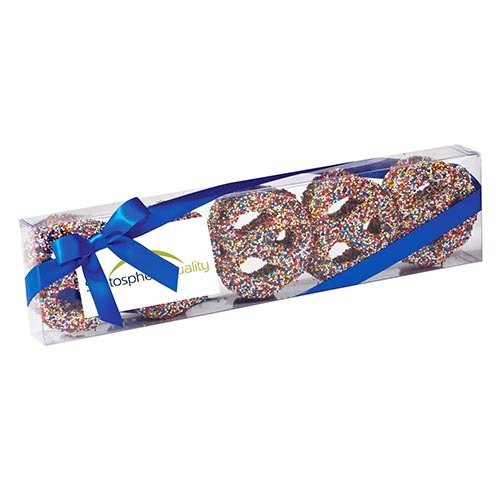 HPSD-NPM Our mouth watering chocolate covered pretzel rods come decorated with rainbow nonpareil sprinkles. Each box is packed with 10 pretzel knots and dressed with an elegant bow.